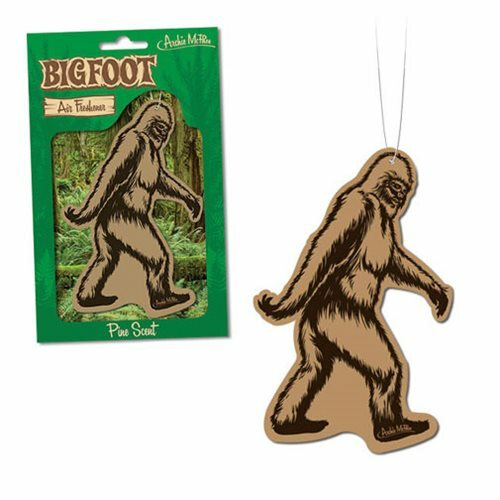 Don't worry this Bigfoot Air Freshener doesn't smell like Bigfoot, who we can all agree smells a little rank. Instead it comes in a pleasant pine odor. Perfect for road trips through the forest, or for camping out in an RV, this Air Freshener comes in a illustrated cardboard sleeve and measures 5-inches tall.